This year finds us in the worst money situation that we’ve experienced in our 21 year marriage. Our income has always fluctuated, but this year has been especially lean. I recently put together a debt snowball to try to apply every extra penny to the impending bills. The first bill on the list was for summer camp for Kendrick. We owed several hundred dollars, with a deadline of June to get it paid off. While going through piles of mail, I discovered I had overpaid both Sears and Kohl’s, by a combined amount of $229.10. I asked them both to send me a refund check, and once they were received, I immediately applied them to the camp balance. I also remembered that I had purchased a camp voucher at a school program earlier this year, so I contacted the camp and asked them if they could find the voucher and apply it to the bill. I thought it was for $100, but soon discovered that a $150 credit was applied toward the camp balance, leaving us with just $154 left to pay. I could only think how amazing it was that the first bill on the debt snowball was already almost paid, and it was money that sort of came out of the woodwork! During this time, I also raided all the coin jars and loose change in the house, and gathered it together to wrap, and discovered we had about $40 in loose change. This will be applied to the account as well, leaving the balance right around $124. Then another $20 showed up in a RAK from the FB group, so now the balance is $114. 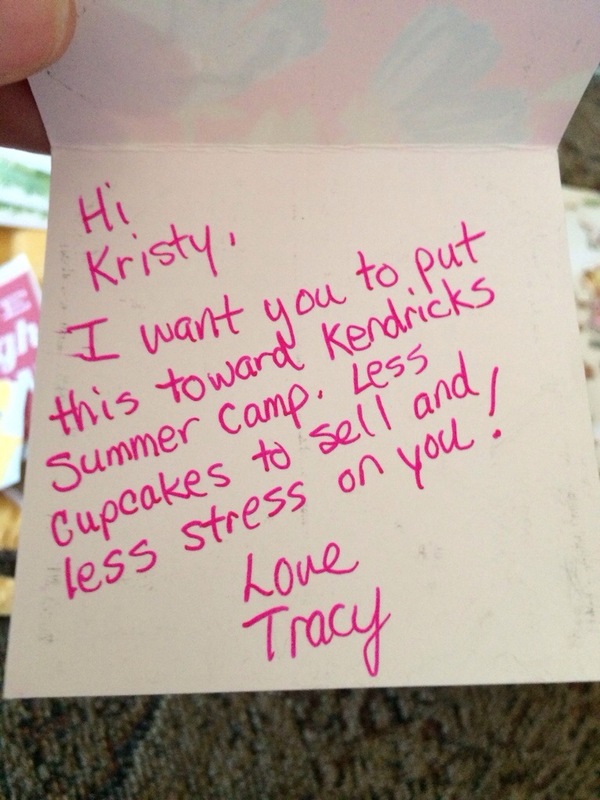 I started thinking that it would be good for Kendrick to earn some of the money for summer camp and suggested that he sell cupcakes, 2 for $1, meaning he would need to sell 200 cupcakes to reach this goal. Between now and June, this sounded completely do-able as he would need to sell just about a dozen a week until camp starts. We have a bunch of boxes of cake mix, so no extra money needs to go into supplies (I got a little crazy a while back and bought about 50 boxes of cake mix as they were just $0.97 each, and they have been in the freezer). So….that was the plan…earn the last $100 by selling cupcakes (and find another $14 in change in the next 2 1/2 months). I was sharing all of this with my cousin one evening on FB, just telling her about what was happening, how the laws for shipping puppies are changing, which will affect our business, and wondering if we were going to make it, and just generally sharing life stuff with a family member. We were also talking about Washi tape, and other “planner related” things, and she was going to send me a few samples and rolls of Washi tape that she had. Little did I know, there would be a huge surprise in the little package!! If you don’t recognize that bill, it’s $50!! Incredible!! What a huge surprise, and totally loving thing to do. It’s the RAK of all RAKs!! Then, she included this little note inside. She knows how busy I am already, and this was just so incredibly thoughtful and kind! The balance for camp is now just $64. I can probably come up with other ways to pay that, perhaps apply other money I’ve received from RAKs toward this balance, or we can sell less cupcakes! It would now only take 128 cupcakes, just 11 dozen, which will only take 6 boxes of cake mix (they each make 2 dozen)! I’m certain my 13-year-old will be able to pull this off in 2 1/2 months time, if necessary! As I look at this story, I am amazed how the money basically came out of nowhere, yet the bill is almost paid, and it has allowed us to keep up with the normal bills, since camp is completely something extra! I’m very happy my son will get to attend summer camp as it’s always a rich spiritual, physical, and social experience, and something I dearly loved when I was young. Another extra trip that is happening this year, and thus requiring a lot of extra money (when we hardly have enough money for the normal stuff) is Osh Kosh. Kendrick has been in Pathfinders for the past 5 years, and every five years there is a worldwide camporee in Wisconsin, something that we don’t want to miss. Since I am helping with Pathfinders this year, I was excited to go as well, and it has also worked out that Kaelyn would join us to help cook during the drive both ways, as well as when we are at the event. Three people riding a bus from WA to WI isn’t cheap, not to mention the $200 tickets for the event itself. We have already paid for the event tickets, but are staring at a balance of around $1425 for bus travel and food (for 3 people). Since this is a completely extra thing, it was not budgeted into anything, and I had no idea where we would scrape up the money for that, since all my scraping had gone towards the summer camp venture, and I knew there was not $1000 dollars left to scrape out of anywhere!! 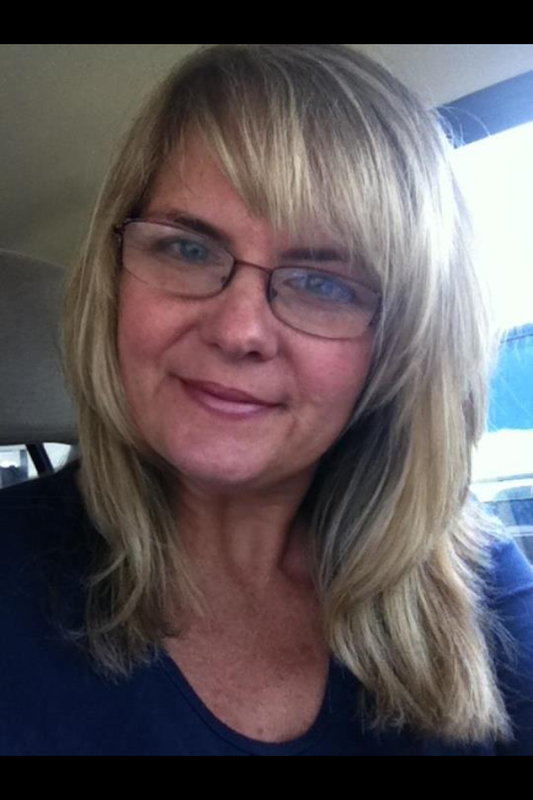 But life sometimes throws the most wonderful curve balls, and I just received an amazing phone call! A few months ago, I gave 2 Cavalier females to a fellow dog breeder. The deal was that if/when they had a litter of puppies, I would receive the price of one puppy when she sold the litter, to pay for the mother dog! I had seen my friend a few weeks ago, and she had told me that one of the girls had a litter of 6 babies that were all thriving and doing really well, but I had forgotten about the money that was due to come my way very soon. Today, she called me to ask for my new address so she could send me the check! I’ve decided to dedicate this money towards our Osh Kosh trip, and am now staring at a balance of $425 instead of $1425!! There will be money also applied from the Pathfinder club to each of our bills (we did some fund-raising), and I don’t know what that amount will be yet. I’m hoping it will cover that final balance, and I will be amazed if that is the case!! I can only sit here and be thankful for all of these money blessings! Right now, it looks like about $2,000 will be covered in ways that were completely unexpected, and pretty much out of my control! 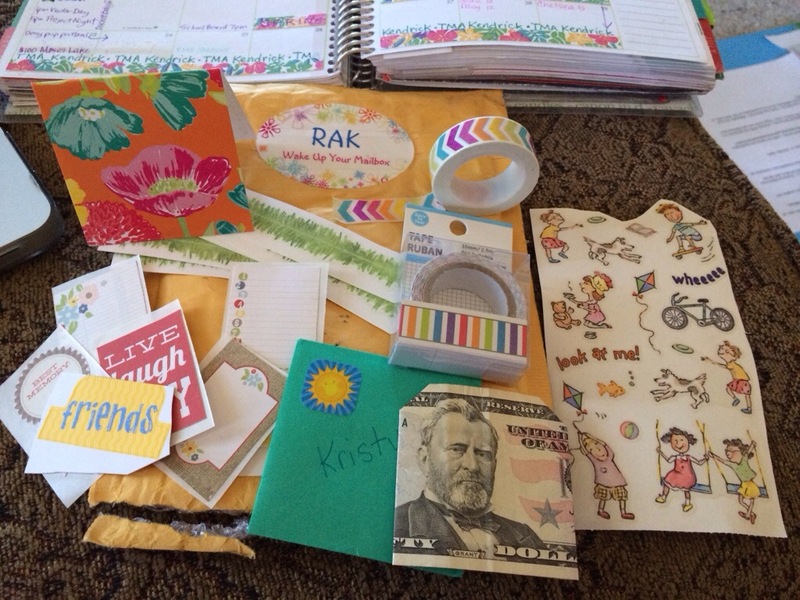 I feel blessed and overwhelmed with gratitude for these surprises! This entry was posted in Uncategorized on March 17, 2014 by gracewithouttears.